On the verge of facing the last year at the head of the autonomic television, SECUOYA has made a balance with his partners in the Region of Murcia. The current contract with the CARM is 8.9 million euros a year of which 3,521,844 euros, 40%, have gone directly to other production companies in the Region of Murcia that have produced and broadcast sports, cultural or social programs. Another big part of the budget, 32%, is assigned to the staff, specifically 2,852,000 euros. 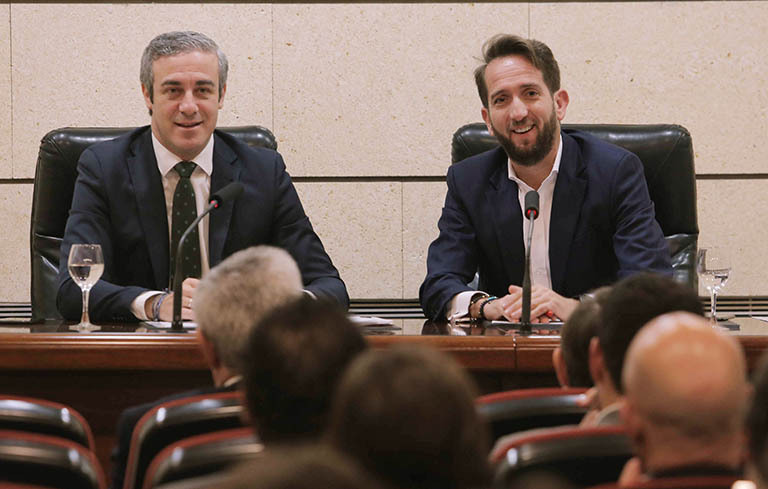 The arrival of SECUOYA in the Region of Murcia has led to the creation of 106 direct jobs in Molina de Segura’s headquarters of “La 7 TV”, of which 90% are undefined. In the last year and through the 33 production companies that have worked for “La7 TV”, another 179 jobs have been created, which means a total of 285 jobs. Another 10% of the budget falls on other auxiliary industries in the Region and the rest of it remains for emission rights and other general expenses. The introduction of the programming that Secuoya and the regional production companies have in the civil society of Murcia is evident in the number of retransmissions that throughout the year have been made, a total 390; 324 retransmissions, more than those committed in the offer. In a recent meeting held on Tuesday with the president of SECUOYA Raúl Berdonés and some audiovisual producers, he highlighted “This management model of an autonomous television is working as a real lever in the audiovisual sector of the Region as never before and as it has never occur in any other Autonomous Community”. 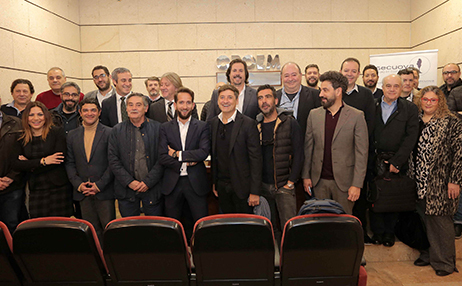 More than 30 producers from Murcia wrapped up the Secuoya event in a balance sheet that was made at the CROEM headquarters after 4 years of management at the head of La7. SECUOYA domiciled CBM in the Region of Murcia, the company awarded the autonomic television, and has already signed more than 50 exclusive contracts with other audiovisual producers in the Region to go together to the next contest convened by the CARM to manage the autonomic. To the president of the Associations of Audiovisual Producers from Murcia, APROMUR, the model is working “the percentage of producing companies that have worked and still work for the autonomous channel is very high, allowing our business to increase”. He adds “The future is promising as long as the current model is maintained in the new public tender”. Secuoya is currently developing activities in 5 countries with 1,800 audiovisual professionals in permanent staff and has become a worldwide referent in the sector. Nevertheless it has become the NETFLIX’s partner in Europe, setting in Tres Cantos their first fiction production in Spain. “La 7 TV” has grown year after year, coming from 0,7% in 2015 to 3% in 2018, which means more than 400% growth of TV audience in the last 4 years. This way, public TV in the region is closing the year above the other autonomous channels from Baleares, Castilla y León and the Valencian “A Punt”. Throughout 2018, 1,278,000 viewers tuned “La 7 TV”, 250.000 persons in average every day. Special notice must be taken of the news on the channel, clearly aiming locality and proximity. All their daily editions double the average of the channel. The information coming from the communes is very important to this success. Thanks to the branches distributed among the region, “La 7 TV” consolidates the closeness of the information. For another year, each one of the communes of the region had visibility in the programs of “La 7 TV”. Only in 2018, 390 retransmissions have been done, 490% more than the committed and 2,946 hours of Public Services have been broadcasted, 34,89% more than committed. On its side, the website of “La 7 TV” had more than 4,880,000 views and 4,308 hours of self-production, 12,72% more than the offered. Concerning accessibility, 8,873 hours of emission were subtitled, 55,67% more than the mandatory ones and 341 hours of audio-description were made, 9,29% more than what is stipulated by law. Concerning sign language, 378 hours have been done, 21,15% more than committed.